DUBAI, 12th March, 2018 (WAM) -- H.H. 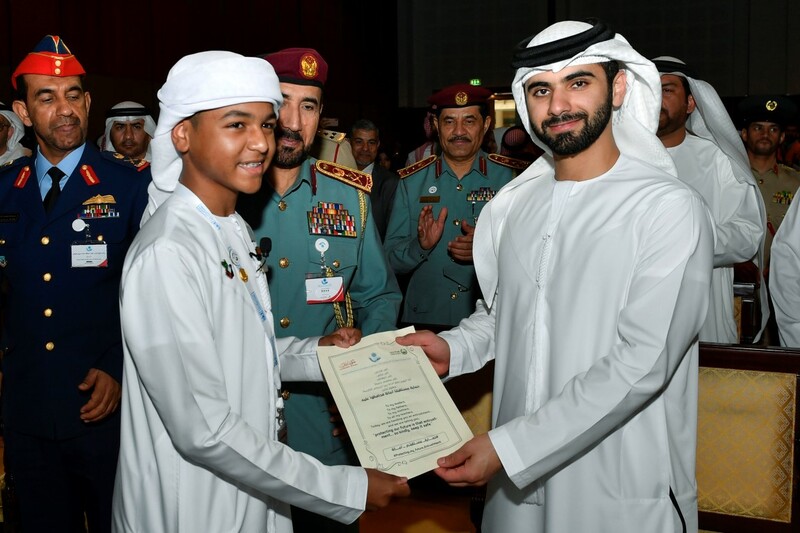 Sheikh Mansour bin Mohammed bin Rashid Al Maktoum, today officially inaugurated the 13th Hemaya International Forum and Exhibition on Drug Issues under the theme, "Foreseeing the Future of the Global Combat of Narcotic Drugs and Psychotropic Substances: Predictions, Preparations and Prevention Strategies for 2030". The two-day forum is being held under the patronage of H.H. 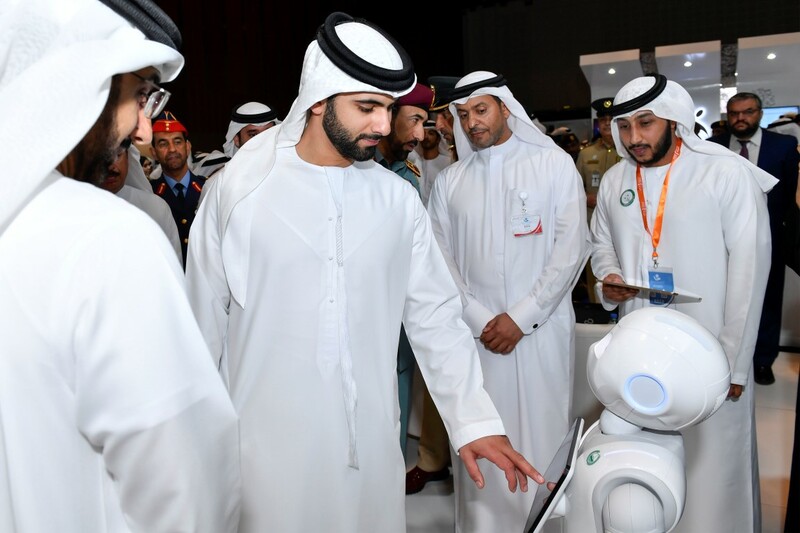 Sheikh Hamdan bin Mohammed bin Rashid Al Maktoum, Crown Prince of Dubai and Chairman of Dubai Executive Council, at the Dubai International Convention and Exhibition Centre. 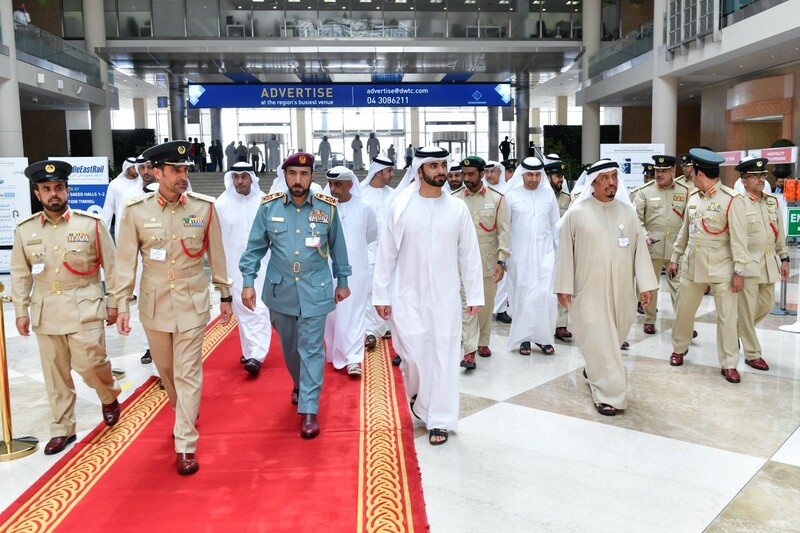 The event was attended by Lt. General Saif Abdullah Al Shafar, Under-Secretary of the Ministry of Interior, Lt. General Dhahi Khalfan Tamim, Deputy Chairman of Police and Public Security in Dubai and Chairman of the National Anti-Narcotics Council, and Maj. Gen. Abdullah Khalifa Al Marri, Commander-in-Chief of Dubai Police and Chairman of the Higher Committee for Hemaya International Programme, and a number of officers, heads of delegations, government representatives and a number of experts and specialists. Tamim delivered the key note session under the title "Protection from Drug Abuse," saying that studies have shown that most cases of drug abuse per capita begin in adolescence, stressing the need for parents to know the aspects of their children's lives and follow up their affairs and stay alert to the threats that may surround them. He reviewed the lines of protection against drugs, which start from the border guards and customs through their role in drug control before entering the country, followed by the police’s role, and the role of family and educational institutions in raising awareness about the dangers of drugs, as well as and the line of protection related to treatment and rehabilitation and the role of traditional and modern media. He pointed out that the increase in the number of arrests of accused in the country to an average rate of 40.6 percent since the Anti-Narcotics Council took over the control, noting that the arrests of suspects in drug trafficking cases in Dubai resulted in the arrest of 199 accused in 2017 compared to 90 accused in 2016. 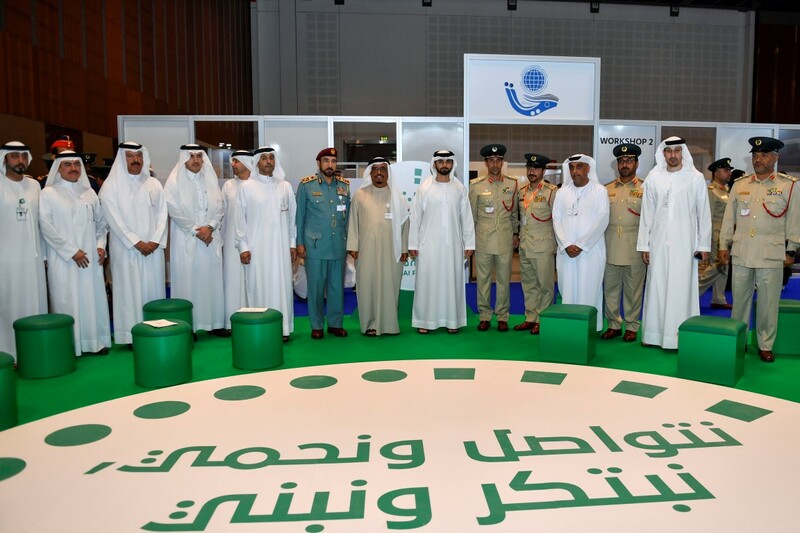 Brigadier Eid Mohammed Thani Hareb, Director of the General Department of Anti-Narcotics – Dubai Police, said, "Drugs issue continues to pose a great challenge for all governments and organisations concerned with combating drugs. "In the UAE, we have been aware of the seriousness of the scourge of drugs and its spread among members of society and the gravity of crimes and financial and human losses caused by them. We have chosen to be decisive at the local level and to be open at the global level to various international and regional efforts involved in the reduction of their proliferation. On various occasions, whether in this forum or other events of the same scope in which we participate, we have confirmed to be fully prepared to cooperate in all programmes and strategies with various governmental and non-governmental agencies to contain this scourge. This stems from our belief that we need to provide a safe and happy life for our children and for the humanitarian community as a whole." He added, "Building the future is the responsibility of parents, a responsibility that they shoulder towards their children. What we have achieved today, and previously was a bright future, is the seed our fathers have planted before, chief among them the late Sheikh Zayed bin Sultan Al Nahyan whom we commemorate this year on his 100th birthday, and who shaped for us a future that has become a present we are proud of today, thanks to the significant results and indicators we have achieved in the field of drug control." The topics presented were subdivided into four main scopes to be covered over the two days of the forum - Future Foresight, Field and Preventive, Sanitary and Medicinal, and Social and Economic. 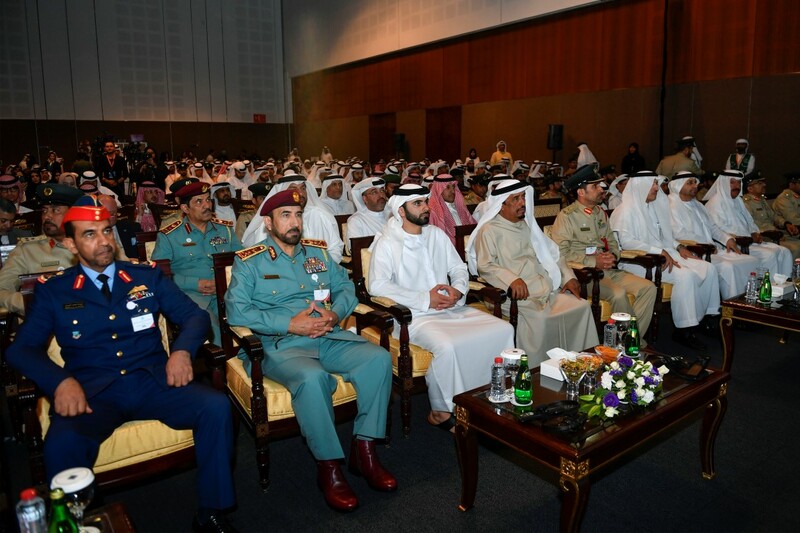 The forum is organised by Dubai Police General Headquarters, in partnership with INDEX Conferences and Exhibitions, and in cooperation with the United Nations Office on Drugs and Crime, UNODC.